The Kabane platform bed with matching headboard is the ideal start point for any kids bedroom. It's neutral maple finish makes for a beautiful boy or girl's bedroom. The beds unique design gives the impression the it floats above the ground, giving the entire room an airy feel. This bed also features a unique metal and hardwood slat construction allowing for easy assembly, sturdy construction and easier handling. The Opaci-T platform bed with matching headboard is the ideal start point for any bedroom. It's rustic-chic ebony finish makes for a trendy and timeless bedroom. The platform beds unique design gives the impression the bed floats above the ground, giving the entire room an airy feel. This bed also features a unique metal and hardwood slat construction allowing for easy assembly, sturdy construction and easier handling. Queen Platform Bed, Grey Awake or asleep, you love to enjoy the finer things in life. 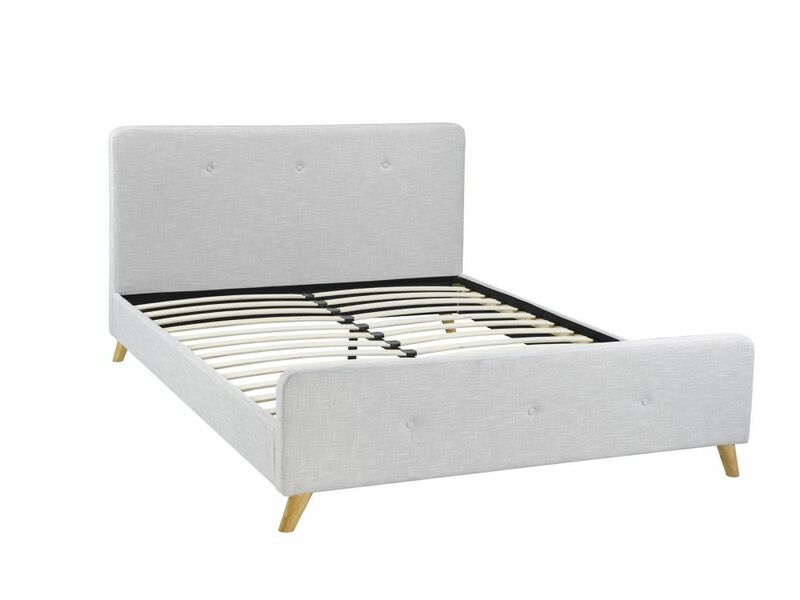 This panel-style bed frame is wrapped in light grey linen that features a lightly tufted design. It has a modern shape is clean and refined, and combines comfort and style effortlessly. Low, splayed legs raise the platform slightly while allowing the contemporary appeal to shine through. A full slat system provides the support needed for your mattress, which means you can finally say goodbye to that old box spring.